On February 27, a team found a small light-colored octopus at a depth of about 2.5 miles in the ocean near Necker Island, said Michael Vecchione of the National Oceanic and Atmospheric Administration. The octopus did not have fins and all of its suckers were in one row on each arm, Mr Vecchione said. The octopus "did not seem very muscular" and was light coloured, he said. "This resulted in a ghostlike appearance, leading to a comment on social media that it should be called Casper, like the friendly cartoon ghost. It is almost certainly an undescribed species ..., " he said in the statement posted on Wednesday on the NOAA website. It's unusual to find an octopus without fins so deep in the ocean, said Mr Vecchione, who noted that the previous depths at which an octopus without fins was found were all less than 4,000 metres, or 2.5 miles. 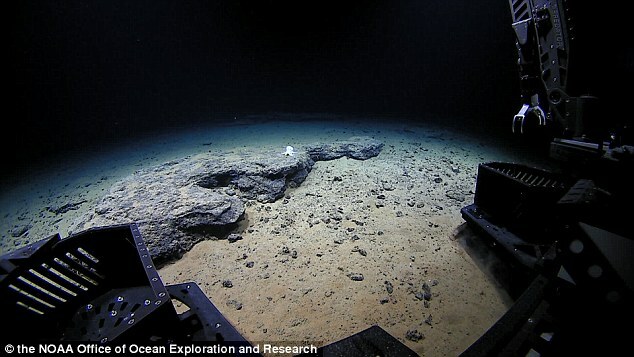 Two scientists he has consulted "agreed that this is something unusual and is a depth record," said Mr Vecchione, who is with NOAA's National Systematics Laboratory. 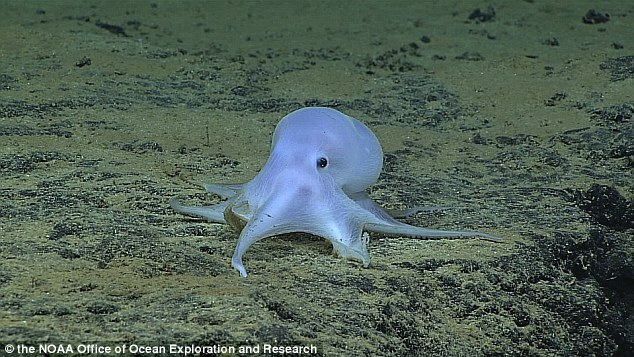 Responses to "'Casper the Friendly Ghost' octopus discovered in waters off Hawaii"